Florida and all U.S. states operate on a system of notifying counties and cities about impending construction projects. Each state has its rules governing when a permit is required depending on the size and magnitude of the project. The permit informs the local or state government and acts as a monitoring tool. The process gives the agency the opportunity to comment about the construction project. Local and state agencies use this opportunity to further investigate the construction with the purpose of protecting people from repairs, additions, or new construction that are in violation of building codes and could present as harmful to life and property. A permit can be obtained for residential or commercial construction projects. In Florida, failure to obtain a building permit where one is required is a violation of the law. Florida law requires that contractors and owners obtain a building permit for any instance where a structure is being erected or altered. Therefore, a permit is required if the owner of the property plans to construct, enlarge, repair, move, demolish, change occupancy or structure of the building. The list of when a permit is needed covers a wide variety of construction alterations, however, the permit requirement is not limited to buildings. They also include mechanical, electrical and other systems that enable occupancy. 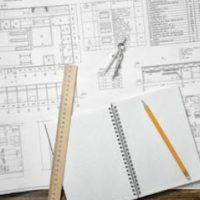 As such, building permits are required if an owner plans to install, alter, repair, remove, convert, replace, any electrical, mechanical or plumbing systems provided the plan is permitted by the Florida Building Code. Failure to obtain a permit before commencing a project can result in a penalty. The fees are set out in Section 109 of the Florida Building Code as authorized in Florida Statutes 553.80. Normally the fee imposed is double the normal permit fee. A contractor who violates a second or third time will have a fee imposed that is triple or quadruple the fee of the normal permit. Obviously, if a contractor has multiple violations, the more likely the state or local government will be interested in further investigating the construction project. This will lead to inevitable construction delays and possible litigation. Building insurance and permitting go hand in hand. And insurance company is not ready to provide coverage if the state in which the project is located has not given the “green light.” Most insurers will request that the contractor provide proof of a building permit before proof of insurance is provided. A valid permit, in turn, keeps the insurance valid. Without a permit, it is more than likely that an accident occurring on the premises of the project will not be covered under the builder’s insurance. Are you thinking of commencing a construction project? The first step is to hire an experienced construction law attorney who can advise you on Florida’s building permit laws. Attorney Brendan A. Sweeney is an experienced construction law attorney with years of experience advising on building permit issues. Contact us for a consultation.